Despite finding his place in the entertainment industry at an early age, Brian Dietzen made one of his biggest TV roles in the action police procedural TV series, NCIS where he took the supporting role of Dr. Jimmy Palmer before he was promoted to a regular role in the tenth season of the series. There is no doubt that spending more than a decade in the TV series has helped to increase his popularity in the industry as well as his financial stance. The Colorado native has also seen a reasonable improvement in his career since 2004, as he has received more major roles in many notable films and TV shows like Self-Inflicted, Hit Factor, Nowhere to Hide, and Every Second Counts. Brian who is a Colorado native was born on November 14, 1977, and he is of the mixed ethnic background of English, German, Irish, and Danish. Brian attended Niwot High School before moving to the University of Colorado for a degree in Fine Arts. Not much is known about his childhood period and parents but it is on record that this star in the acting business caught the acting bug back in his elementary school years when he performed in a second-grade Christmas play. During those years, Brian Dietzen was known for his dancing skills. He was, in fact, popular among his school mates either as a dancer or as an actor. Holding on to his dreams of being an important personality in the entertainment sector, Brian made himself available for several high-school productions while studying in college. For two years he was part of the production of The Colorado Shakespeare Festival. He was also involved in the production of Samuel Beckett’s play titled Waiting for Godot. In 2002, he played a TV role as David Caplan in the TV series Boston Public, which was broadcast on Fox channel. Brian also played Owen in the sitcom My Guide to Becoming a Rock Star, that premiered on March 14, 2002. The following year, he made an appearance as Eddie in From Justin to Kelly, a romantic musical comedy that featured great actors and actresses like Kelly Clarkson, Justin Guarini, and Anika Noni Rose, to mention just a few. Brian Dietzen made more appearances in movies and TV series before landing on the Police procedural series, NCIS: Naval Criminal Investigative Service, that premiered in 2004. The series has seen him work with great actors and actresses like Lauren Holly, Sasha Alexander, Zoe McLella, Scottie Thompson and Susanna Thompson. Brian’s acting career is not centered on NCIS alone, his role in the TV series only made him more famous and earned him more TV roles. He, for instance, wrote, produced and acted in Congratulations, while in 2013, he appeared as Mark Leighton in the crime drama series, Perception. Aside from NCIS, which is still airing as of 2019. Acting is apparently Brian’s major source of income but not the only means. He receives pay from his role as a creator and producer. It is a fact also that his earnings received a major boost following his role in NCIS. There are speculations that following the success of the TV series, Brian Dietzen’s paychecks would certainly fall around $100,000. At the moment, his net worth is estimated at $2 million. 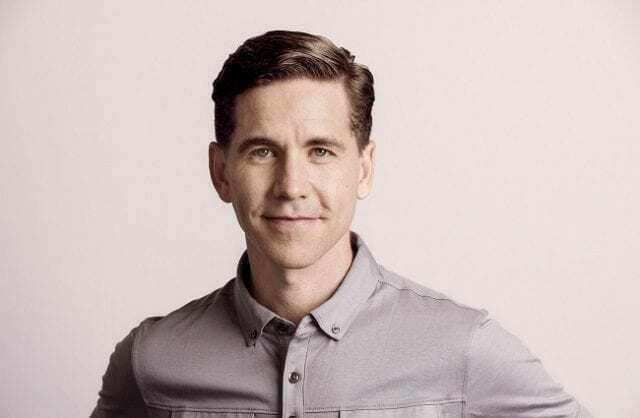 Much as his career in the entertainment industry has seen good success, Brian Dietzen’s is among the very few celebrity families that attract the interest of fans across the world. He married Kelly Dietzen, his longtime girlfriend, in 2004 and they have been sharing their love together as husband and wife ever since. The couple is blessed with two adorable children whose names have not been revealed to the public. Brian and his wife have not been involved in any rumor so far which is a clear indication that he is creating a perfect balance between his married life and his career. The actor lives in Los Angeles with his family. Brian Dietzen has an amazing height of 6 feet which is equivalent to 1.83m with a body weight of about 74kg. In addition to his dark brown hair and hazel eyes that make him stand out among his peers, Brian’s sense of humor alongside his good style of dressing is an addition to his good qualities.